We conducted a very scientific—okay, pretty informal—poll here at the Who What Wear offices about the holiday gifts we're least likely to return, and one answer kept popping up consistently: jewelry. There's no such thing as a too-full jewelry box, so a pretty bauble (or two) can go a long way when it comes to your holiday shopping to-do list. And if you're on the hunt for something unique to give, you've come to the right place. You may be familiar with the men's jewelry from Miami-based lifestyle brand Miansai, but now the brand has expanded to offer its first-ever women's fine jewelry line. "People come to Miansai because they know they will find consistency, style and craftsmanship in everything we produce," the brand's founder and creative director, Michael Saiger, said in a statement. "The fine jewelry collection continues to embody this with a new sense of elevation that is synonymous with the Miansai brand." In other words, we've found your one-stop gifting haunt for your boyfriend, girlfriend, BFF, mom, dad, and everyone in between. Scroll down to shop our favorite pieces from Miansai's first-ever fine jewelry collection! 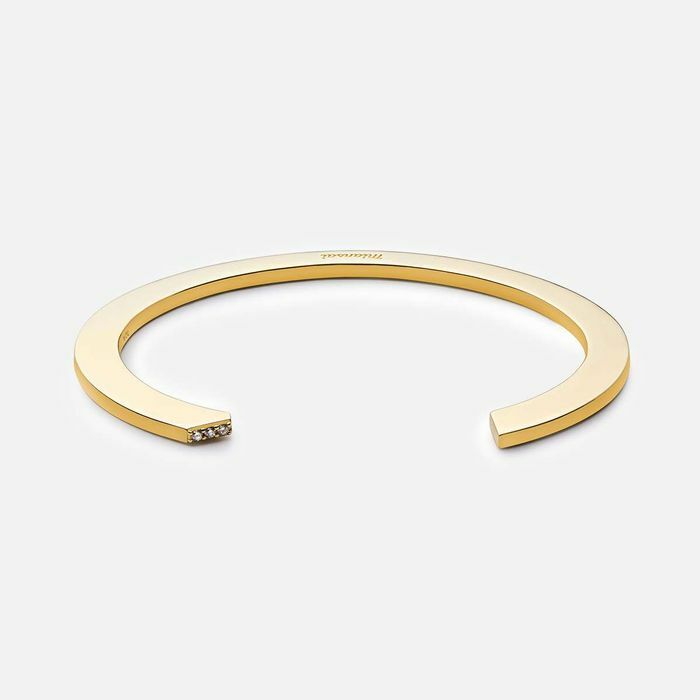 This 14K gold stunner is minimalism at its best. This ring will definitely make a stylish statement. Pair this with a simple black T-shirt to let it take center stage. Architecture inspired these 10K gold earrings covered in diamonds. Whether you're looking for a wedding band or an everyday ring, this pretty one will fit the bill. Which piece is your favorite? Tell us in the comments below, and then shop Miansai's full fine jewelry collection!